FREE! Donations for grocery or garden accounts always appreciated. Suggested donation is $5 per session, and saves your seat. Please write checks to OK PTA with “Sage” in memo, or sign up online. Mondays 2:20 – 3:30 • Grades 4, 5, 6. This highly popular program features guest presentations from local food personalities, stores and restaurants, in addition to the Sage Garden Project staff presenting their favorite and most-popular lessons, recipes and topics. We expect to experiment, use garden produce, and expand on in-school lessons with recipes that are fun and manageable for students cook at home. Sign up online, or fill out application and deposit in mailbox outside the Nutritional Science Lab Room #27. At 12:50 on Fridays, we’ll take walk-ins until every seat is filled! *All Sage Garden Project after-school programs are required to have a parent helper. We will have to cancel the session if no parent is available. Join us by selecting a date when you sign up your student. The Sage Garden Project engages students on many levels, deepening the understanding of lessons learned in the classroom, developing life skills, participating in science, and creating receptivity to a wide array of healthful food choices. Grade-level teachers have the challenging job of presenting required curriculum. The Sage Garden Project provides enrichment in support of the teachers, reviewing the same and related topics, but in new and varied presentations. 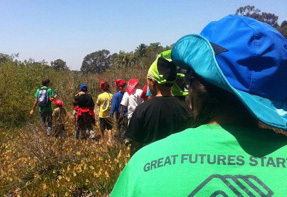 Students benefit from the hands-on, experiential nature of the lessons. 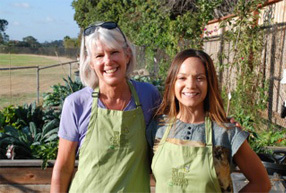 With format, inspiration, and training from the Edible Schoolyard Project in Berkeley, California, the Sage Garden Project is in the fourth year of offering weekly lessons to every student in the pilot school. It’s a program that provides a deeper scientific understanding of how good choices engender health, and builds the practical skills to implement those choices, as well as engaging curiosity with inquiry-based learning. Students are making real-world applications of concepts they are being taught in class. While learning to cook, they may practice adding fractions together, as certain measuring cups are made unavailable. They conduct scientific experiments with controlled variations in plants, with different conditions. They experience first-hand the discouragement of pest overrun, as well as the overabundance of harvest, the necessity and science of food preservation, and the rewards – a meal, some profit, but also of sharing with the less fortunate. 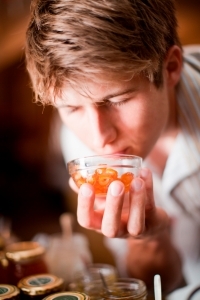 And always, they are tasting, smelling, feeling, using their senses to learn. 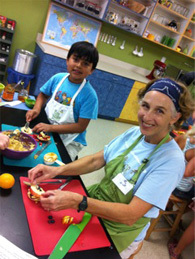 http://time.com/3582298/coming-to-our-senses-on-education-and-nutrition/ In addition to classes during the school day, this unique program offers summer camps and free after-school programs every day of the week. Students can become certified as a Junior Master Gardener, prepare after-school snacks for themselves, or even learn to make dinner for their family and take home all the necessary groceries. How does this tie in with school lunch? Does the Sage Garden Project grow food for school lunch? The program grows produce that is used in the 29 nutritional science lessons it provides each week. When the garden has excess, contributions to the school lunch program are anticipated, in addition to our current contributions to a local food bank. 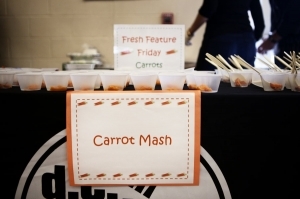 Currently, the school district food services is developing garden-to-cafeteria protocols. The Sage Garden Project is fortunate to operate its pilot in a school district that is implementing wonderful improvements in the student lunches, and taking steps toward growing their own organic produce. 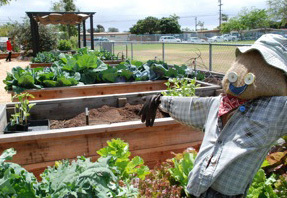 http://www.utsandiego.com/news/2014/nov/29/tp-encinitas-schools-readying-to-open-farm-lab/. There are many contributing factors that influence students choosing to live their healthiest lives – preparing students for an improved school lunch is a great place to start, and delivering a healthy school lunch is essential. Students in the pilot program of Sage Garden Project are influencing others. They learn to appreciate many new foods from the garden, so they learn how to grow them, and also how to prepare them. 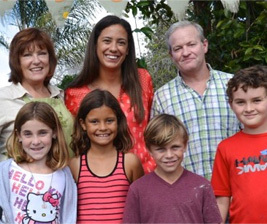 We witness their excitement as they share their newfound knowledge with their families, and even cook for them. The outreach extends further as students harvest and prepare donations for holiday sharing programs and food banks. In addition, a guest series features restaurateurs and food professionals who share their knowledge with our students, through engaging presentations that include tastings and cook-alongs. The Sage Garden Project is focused on its core mission, to prevent diabetes in at-risk youth, but the positive aspects are myriad and multi-fold – benefiting the participants at every level, and contributing to richer, fuller life experiences for those it touches.